The cyanometer is a simple measuring tool, invented by Geneva-based scientist Horace Bénédict de Saussure in 1789. He systematically documented the blueness of the sky with his cyanometer, a simple circular tool with 53 shades of blue. He concluded that blueness is influenced by both moisture and the amount of suspended particles in the air. 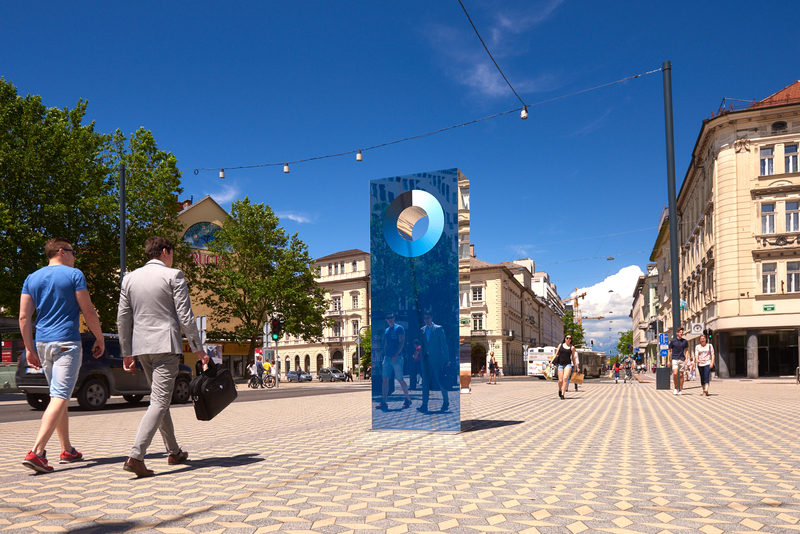 The Cyanometer by Martin Bricelj Baraga is inspired by the original cyanometer. De Saussure’s blue color wheel forms the core of the monument, gently directing our gaze back to the sky. 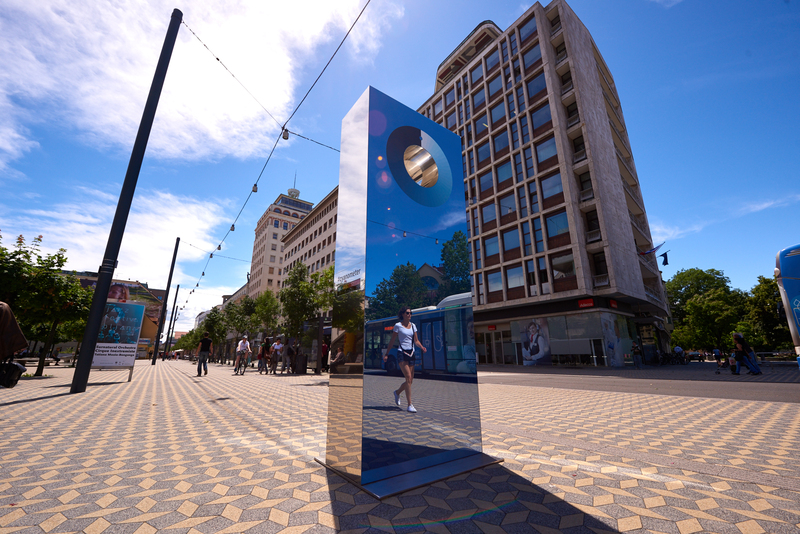 The monolith gathers data of the blueness of the sky and the quality of air and visualises them, thus becoming an instrument which raises awareness on the quality of one of the crucial elements of life. 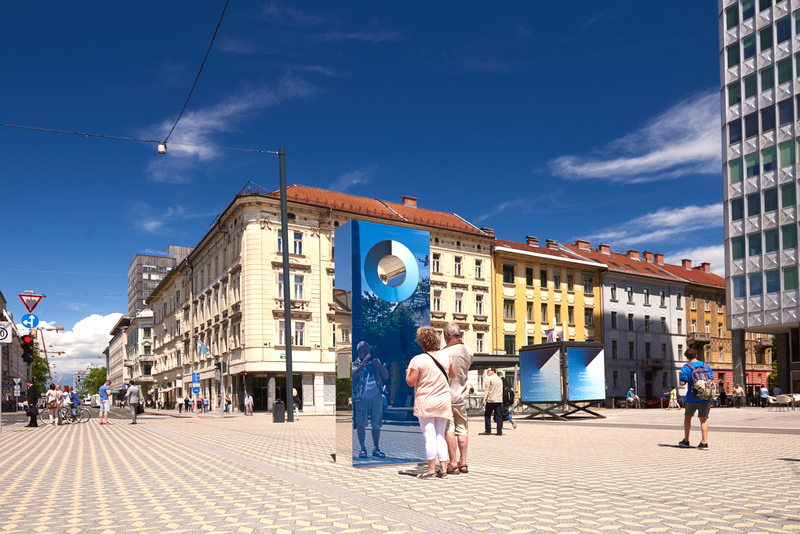 The first Cyanometer was installed on the main road in Ljubljana, part of the Ljubljana Green Capital of Europe 2016 program. 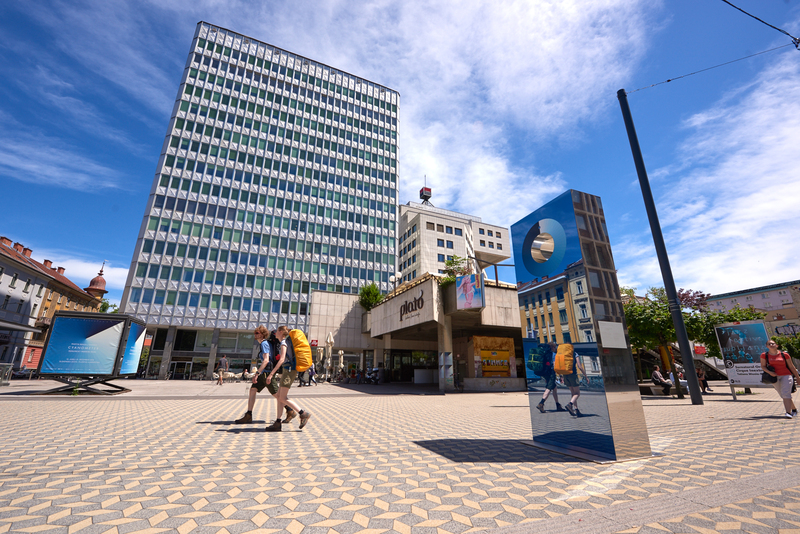 With its iconic design and function as an instrument for raising environmental awareness, it soon became one of Ljubljana’s landmarks. 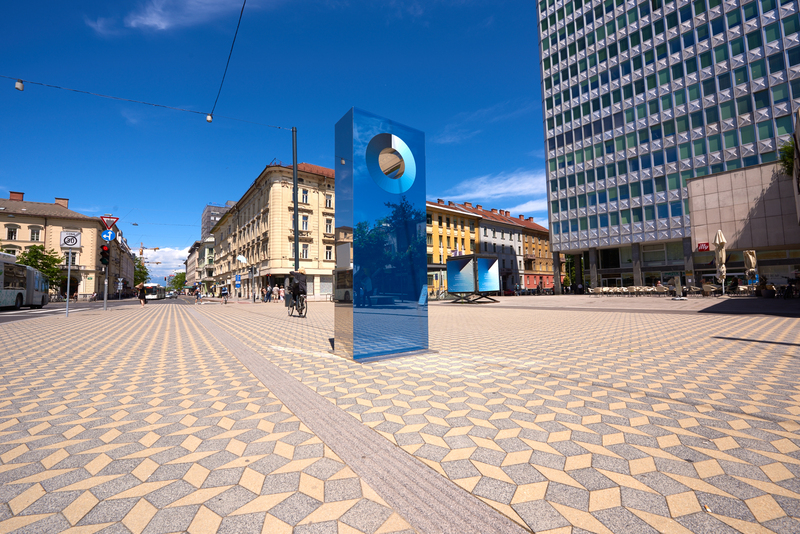 The city purchased the Cyanometer and assured the installation will have a permanent place in the heart of the newly established pedestrian zone, facing the Alps. As of May 2017, the second Cyanometer is installed in Wroclaw, Poland, part of the media art biennial WRO 2017. 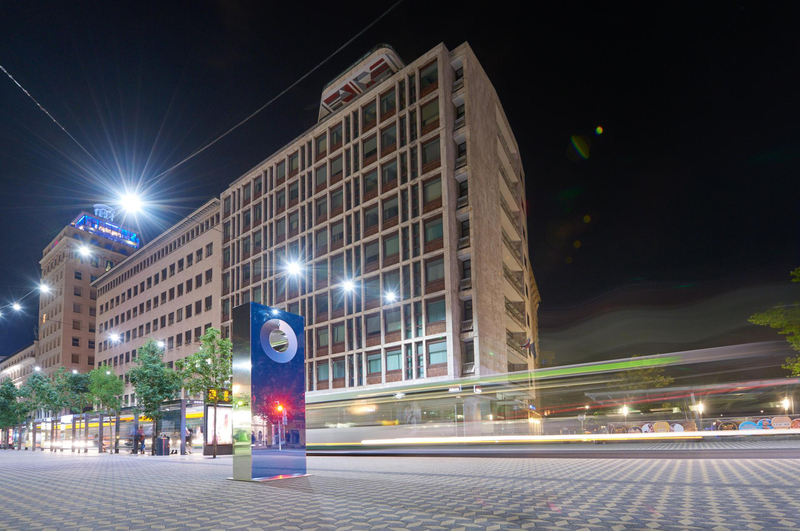 The two installations are connected and allow the public to compare the blueness and air quality data in Ljubljana and Wroclaw. Cyanometer received the Critics and Art Magazine Editors Award at the WRO Media Art Biennale. 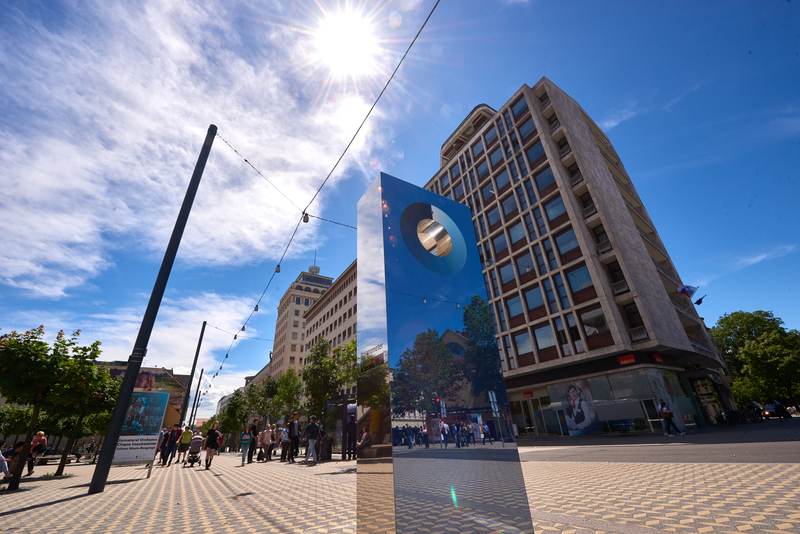 The Cyanometer is both a monument and a software that periodically captures images of the sky. These are then translated to one of the 53 shades of blue, thus creating a special blueness archive joined with air quality data on the Cyanometer website. There, users can also read the exact air quality measurement data for each parameter. Being powered by solar panels, the Cyanometer is a self sustainable organism which can be fully functional in any remote natural habitat.